THE HISTORY CLASS will be devoted to the small towns and neighborhoods we grew up in -- the origins, the people, the urban legends --- things that were considered normal then, but that seem a bit weird now. Please send us stories from your town or neighborhood or post them in the Local History section of the Message Board. 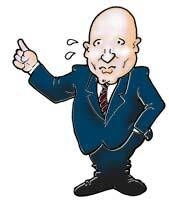 So, jump into the Wayback Machine with the spirit of Guv Haynes ---- and Pay attention, there might be a Pop Quiz! TODAY'S LESSON --- the town of Highland Springs. Highland Springs, an unincorporated community east of Richmond, Virginia, is a part of Henrico County. Henrico County is one of the original eight shires of Virginia, which had its origin in 1634. At the beginning, the county stretched from what is now Charles City County to west of the mountains. Nine counties, a part of a tenth and a city were cut from the original size. Prior to 1890 the part of Henrico County which is now Highland Springs was a rural area. It was an area of small farms that had been carved from plantations that existed before the Civil War. A winding country road bisected the area. It's said that New England real estate developer Edmund Sewell Read visited Europe, California and Florida in the 1880s trying to find a warmer and more healthful climate for his ailing wife. First Highland Springs Schoolhouse -- 1 Room! He finally found what he was looking for a few miles east of Richmond. This place, his surveyors told him, was the highest ground between Richmond and Atlantic Ocean, Sweet water oozed from at least nine springs. Before the arrival of Mr. Read in 1890, there were only a few scattered farms in the area. He bought 1,000 acres on the north side of Nine Mile Road in 1891, and a few years later another 1,000 acres on the south side of Nine Mile Road. He laid the land out in lots and named the streets alphabetically for trees, shrubs, and flowers: Ash, Beech, Cedar, Daisy, Elm, Fern, etc. It may be an exaggeration to call them streets at that time, because this was before the arrival of automobiles. Mr. Read was apparently a man who looked to the future. The land was high ground and well watered by springs. He named the place Highland Springs. Lots were advertised for sale for $50 to $300. A buyer could put $10 to $20 down and pay $5 to $10 monthly. Read's company would lend money for building. If you decided to stay you'd be eligible for a free pass for a year on the suburban railroad. That small railroad running from Richmond to Seven Pines was Highland Springs' early lifeline. 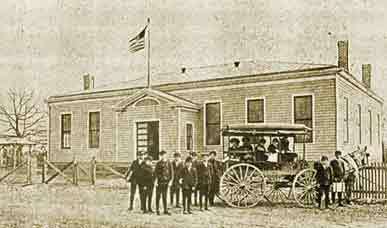 By 1893, there were 50 houses, a church, library, school, firehouse and post office. There were no saloons and no resident blacks in Highland Springs because, according to a 1965 essay by Charles Chappell, neither was allowed to reside in the new village. 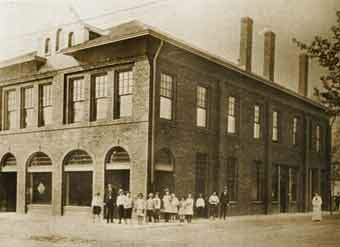 The survival of the town got a boost from the 1894 sale of the commuter rail line to the Richmond Railway and Electric Company. The new company introduced the electric streetcar to Highland Springs in that year. It ran from Seven Pines to 29th and P Streets in Richmond. Its rush-hour fare was 2 1/2 cents, 4 1/2 cents at other times. The cars ran about once every hour and made stops every block or so while going through Highland Springs. The influence of the streetcars made such an impact on the life of the village that the street names were seldom used. You identified your street by its streetcar stop number. By 1895, the town had its own newspaper, the Highland Springs Journal. Front-page advertisements touted the virtues of the new suburb. Churches and civic organizations began to take root in the late 19th and early 20th centuries. 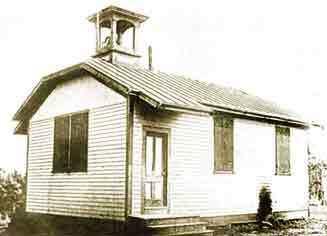 In 1905, the one-room schoolhouse sheltered 27 students in grades 1 through 6. 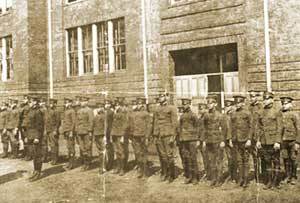 Supported by the Women's Study Club for Right Living of Highland Springs, scout troops started in 1913. The two Girl Scout troops were the first in the state of Virginia. Commuters by automobile or horse-drawn wagon still had to suffer the vagaries of the Nine Mile Road, which was ankle deep in dust in dry weather and 4 inches deep in mud in wet. It was paved in 1923. Many of the side streets were tarred shortly after. Residents used well water until, in 1938-39, water and sewerage systems were introduced. Highland Springs resident and Henrico County Supervisor Dr. Horace Hicks (1938-1948) claims those improvements as well as sidewalks, curbs and gutters and streetlights as part of his legacy. Some residents, no doubt, were sorry to see the streetcars replaced by buses in 1933. 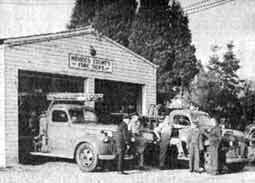 The electric cars were part of town life for 39 years. The village has grown some since Read bought his first 1,000 acres. Residents accept Highland Springs' unofficial borders as extending from A.P. Hill Street on the west to Airport Drive on the east. The northern boundary is the Chickahominy River. The railroad tracks establish the southern boundary. Edmund Sewell Read moved to Washington in 1918, leaving his two sons to continue his business and civic leadership. 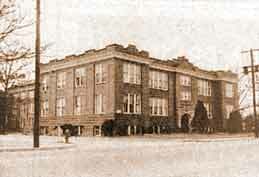 The founder of Highland Springs died in 1937. He was 80 years old. "Health-giving waters are appreciated by all"
Highland Springs, the Model Town Site, Health Resort and Pleasant Suburb of Richmond on the Seven Pines Railway ... has, notwithstanding the hard times, made a steady and constant gain from the first. The pure air and health giving waters are appreciated by all who resort to this favored locality. The delightful climate, as compared with that of the Northern sections of the country has attracted settlers from many States, so that the population is about equally divided between North and South. The remarkable improvement in health by some who have settled here is a standing recommendation, and health-seekers as well as home seekers, from all quarters, should look to the merits of this place. Businessmen of Richmond can secure homes here and enjoy all the advantages of the country and attend to their business as well, on account of the easy and pleasant access to the city by hourly electric cars. Long ago, a New York doctor called the water from Bonanza Spring "one of the most valuable therapeutic agents known among the natural remedial solvent waters in the world." Bonanza Spring, or Tucker Spring as it became known later on, put the Springs in Highland Springs and was one of the main reasons the village is where it is. There were once nine springs in Highland Springs, most located a half-mile or so west of the intersection of Washington Street and Airport Road. They are all pretty much dried up now, according to Allen Frise, who has located remnants of the Bonanza or Tucker Spring a few steps south of Washington Street. The wagon road leading to the spring and a few bricks are all that remains of what used to be one of the most popular spots in Highland Springs. Longtime residents remember church and school picnics at the springs in the 1920s and '30s. Others recall the place being the number one lovers' lane in the area. A New York doctor, Frederick A. Davis, said it was very helpful " in the process of cleansing and otherwise expelling obstructions such as uric acid and other poisonous waste matter in the circulatory system." Others put it more simply. "We had the best water in the universe, it was so cold, you didn't need ice," longtime Highland Springs resident Anna Mae Kidd said.